So I was surfing youtube about Whitney Houston and it is unbelievable how ignorant a lot of people in this world are! 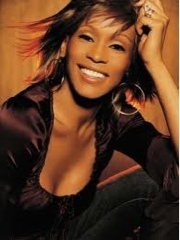 Whitney Houstons death was a SHOCK! May her soul rest in peace she is dead now we understand there are so many people making a joke out of it and talking crap! Yes she had her issues with drugs and that is HER problem not anyone elses to go and act so pathetic! Whitney Houston's family was told by L.A. County Coroner officials ... the singer did not die from drowning, but rather from what appears to be a combination of Xanax and other prescription drugs mixed with alcohol ... this according to family sources.We're told Coroner's officials informed the family there was not enough water in Whitney's lungs to lead to the conclusion that she drowned. Our sources say the family was told Whitney may well have died before her head became submerged.And family sources tell us ... it was actually Whitney's aunt, Mary Jones, who discovered Whitney's body in the bathtub. Mary had laid out Whitney's dress for the evening on the bed and the left for about a half hour. When Whitney didn't come out of the bathroom, Mary entered, pulled Whitney out of the tub and began administering CPR.And we're told ... Whitney's mom has arranged to have the singer's body flown back to Atlanta, as early as tomorrow. The family was told the Coroner has no problem releasing the body because there is no evidence of foul play -- and unless cops put a hold on the body, it can be flown back East.